H-O-M-E-W-O-R-K. What feelings does the word bring up in your house? My daughter is in 5th grade and the homework has become…. let’s say “challenging”. Both quantity and quality. I’ve been struggling this year to find anything that will lessen the pain. 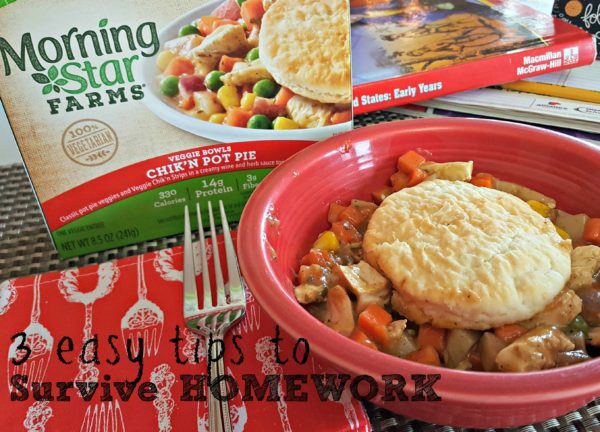 This post will talk about some things that we’ve found work in our house to survive homework and make it faster, fun, and even delicious! How much do you help your kids with their homework? Of course, it depends on age, but by 5th grade, I had hoped to be only a final check. Unfortunately, my daughter sometimes gets entirely new material and often needs significant help with the actual work. I know parents that do all their kids homework for them, and there must be some that don’t help at all. From one end of the spectrum to the other, but I’m guessing most fall in the middle – like me. I try to help by teaching her how to find the answer, and avoid just telling her the answer. So much is dependent on time, though. If my daughter has five assignments in one night, sometimes there just isn’t time to do things the way I’d like to. Ideally, we would review the prior days assignments and tests to see if there were any problems we need to address with review and then start new assignments. But there is also the misery factor. Oh, and the guilt factor. My daughter is in school from 8:00 to 3:30. It seems excessive to have her spend more than an hour on homework, that’s as much or more than a full-time job! Which brings me to my tips. One thing we had to do was improve organization, so time wasn’t wasted on non-study related activities (like sharpening pencils). Here are some things that we’ve found that work in our house. Please share in the comments any tips you have! 1. 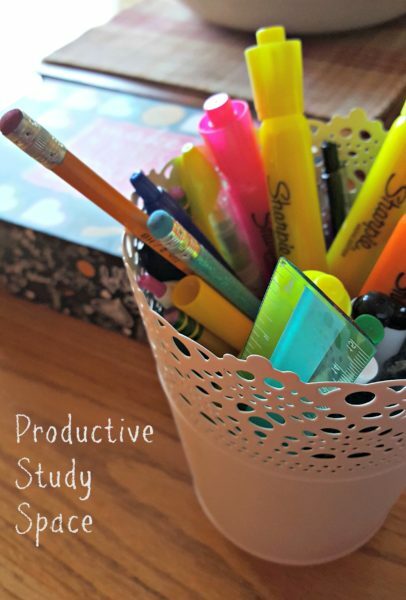 Create a productive study space. Have your child do their homework in the same place every night. For us, and millions of other families, that is the kitchen table. We tried a desk, but it felt isolating, so we ended up with the kitchen table. But find what works best for your child and family and stick to it. Limit distractions. TV, radio, pets, phone, electronic devices have to be off or banished from the area. Organize supplies. Depending on what age your child is and what their school uses, this would include pencils, highlighters, erasers, colored pencils, ruler, etc. Have them in a portable container, so that they can be grabbed at homework time and then put away later. I can’t even begin to add up how much homework time and frustration we’ve wasted with sharpening pencils and searching for supplies before I started doing this. 2. 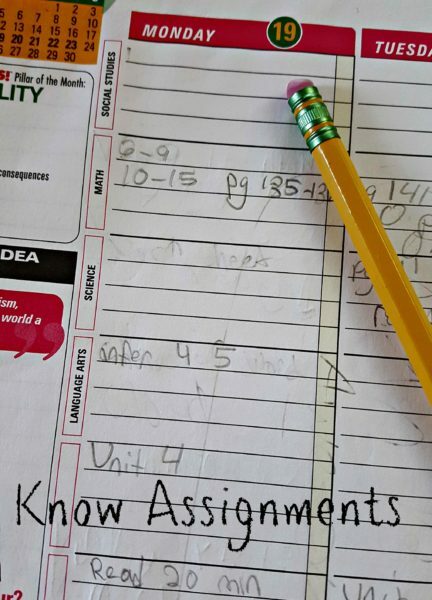 Establish a system with your child’s teacher for knowing assignments. My daughter’s school uses a paper planner for kids to record their assignments. and the teacher posts them on a website for parents. Again, this is age-related, affecting the amount your child can do independently. If your child’s teacher gives the option of more than one day for assignments, this is a perfect opportunity to teach the advantages of planning ahead. It also gives some flexibility if you have after-school activities or family activities. However it is handled, work out with the teacher a system so when your child sits down to do their homework, they know what has to be done. Don’t be afraid to talk to the teacher about accommodations that will help your child. For example, my daughter gets a weekly packet handed out on Mondays, due Friday for Language Arts. Some kids get theirs on the Friday before so that they can have two extra days to work on it. 3. Incorporate fun, whenever you can. To avoid making homework such a chore, add fun activities. For example, have a two minute dance break in between assignments. Freeze dance is always popular in our house. Participate yourself (even though I have received a special request that I never dance in public, at home, it’s freedom of expression for all!). Two minutes of dancing will not add much to the overall time, and it will lighten the mood as well as awaken the brain. Encourage hands-on learning. Instead of just reading about boiling point and evaporation, put a pan on the stove and do a home experiment. It’s much easier (and more fun) to remember the concept of condensation when you have seen it in action on your mom’s makeup mirror held over a pan of water on the stove. Add funny assignments to their planner that have nothing to do with homework or chores like, “balance a spoon on your nose”. Emojis are a big deal with my daughter right now, so I can add some fun by drawing an Emoji by an assignment (yes, poop emoji has made an appearance). After homework is done, who wants to spend even more time cooking, right? My “dinner prep” time has been replaced with “homework help” time. 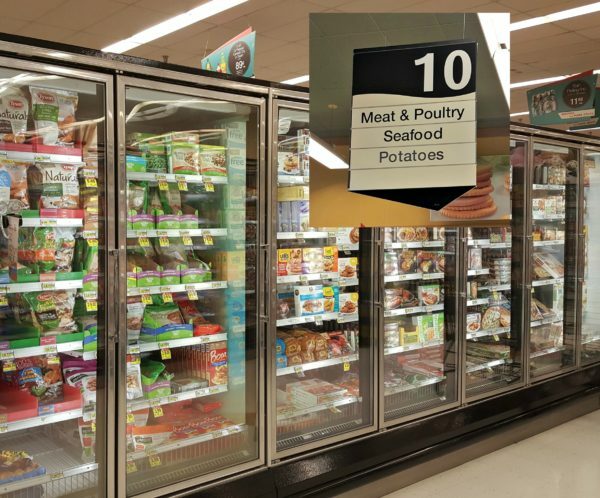 I need easy meals options for during the week, so I can focus more time on helping my daughter. 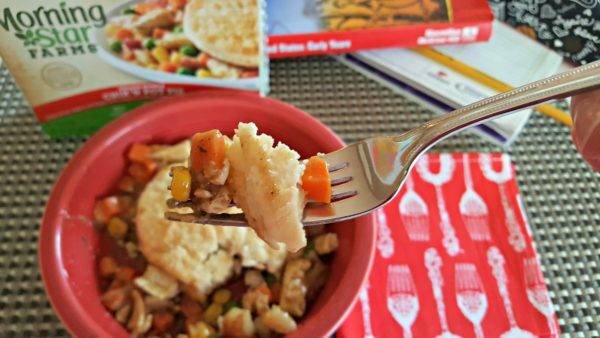 I’m excited to have found MorningStar Farms® Veggie Bowls. They are the perfect solution to weekday meals. 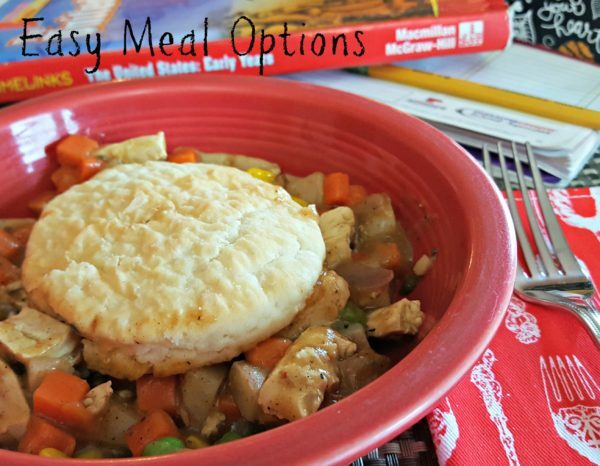 Easy, delicious,and they fit perfectly as a convenient meal solution in my life. It’s easy to substitute veggie for meat in a meal with these Veggie Bowls. Doesn’t this look delicious? And it took minutes. I was pleasantly surprised with how delicious the biscuit was, even though I cooked mine in the microwave. Easy, fast and delicious! Perfect for homework days. It’s not easy to meet and balance your family, work, and life goals. MorningStar Farms® Veggie Bowls can help you on those hectic days without sacrificing your healthy lifestyle. I found them at my local Jewel Osco store. For more ideas, go to the MorningStar Farms® Veggie Bowls Hub or the MorningStar Farms® Brand Page. Please share your homework survival tips in the comments!